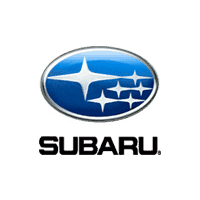 USA – Aug. 18, 2018 – In an unlikely move, the automaker Subaru has chosen to replace nearly 300 vehicles with defects, rather than reimbursing or repairing the offending SUVs. The faulty 2019 Ascent SUV model is missing key welds on the back-door hinges, and spokespeople from Subaru have chosen to pull the cars with the issue from the market. In key areas of the weld, there are spots missing along the B-pillar, which is located on the second-row door hinges. Subaru stated that the issue was due to incorrect programming in the welding software for the robots that manufacture the vehicles. If these doors or other car parts came loose due to the defect, it can cause risks of injury and accidents. According to a Subaru representative, only nine of the defective vehicles were sold to the general public. They will replace all vehicles made and sold due to the severity of the defect. However, there have been no reports of any crashes or injuries of the Ascent SUV falling under this specific issue. On July 21, the issue of defective welds was discovered on-property at a routine inspection. Due to the manufacturing error being contained swiftly, vehicles made between July 13-21 are affected. The total is 293 SUVs that are part of this specific recall. There are 383,101 Subaru vehicles involved in the massive Takata airbag recall this year, which does not include the new Subaru Ascent SUV, according to Edmunds. Six models between 2003-2011 were affected. If consumers or retailers would like to contact Subaru’s customer service department directly, they can do so at 844-373-6614. Also, the National Highway Traffic Safety Administration (NHTSA) can provide additional information with the claim number 18V-508 on the NHTSA website. Subaru stated they plan to inform owners who bought the SUVs directly.